The organization Doctors of BC has joined the discussion over Canada’s plan to legalize marijuana. In a submission offered to British Columbia’s provincial government, the group of medical experts proposes a ban on home cultivation of non-medicinal marijuana. Marijuana becomes accessible to children. Additionally, Doctors of BC warns that secondhand marijuana smoke contains toxins and carcinogens. The group recommends a provincial ban on smoking marijuana in public that mirrors the rules for cigarette smoking. The Canadian Medical Association likewise has expressed concerns for public health and safety with the legalization effort. Police are voicing concern over the July, 2018 effective date, and have asked to extend this deadline to allow for hiring and training additional officers. Police specifically are concerned that allowing individuals to cultivate plants at home could lead to an uptick in crime including home invasions. They say the four-plant limit will be difficult and expensive to enforce, and could lead to more children gaining access to marijuana. Licensed growers are easier to monitor. Police officials have commented that only licensed producers should be allowed to grow marijuana. The Canadian Federation of Apartment Associations and other landlord associations have raised concerns that landlords will not be allowed to regulate the cultivation of marijuana in rental properties. Without restrictions on growing plants in apartments, landlords likely will encounter more risks. In states in the U.S. that have legalized marijuana, some of these fears already have come to fruition. In Colorado, for instance, legalization marked a dramatic increase in the number of apartment fires — and explosions — due to the popular practice of condensing marijuana into wax using flammable liquids. A number of injuries have been caused by consuming plants laced with pesticides, and several children have overdosed on marijuana products. There also have been reports of increased crime, particularly burglary and armed robbery, in properties where marijuana is grown. 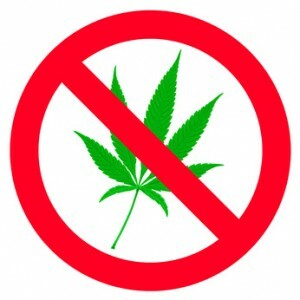 LandlordBC has suggested that smoking marijuana should be banned wherever tobacco smoking is restricted, and that growing marijuana plants should be prohibited in rental properties, particularly multifamily buildings. Landlords also have expressed concern over safety hazards like electrical fires, humidity damage, and increased complaints from tenants over the potentially offensive smell of maturing marijuana plants. The government is not set to comment on details of the legalization plan until the spring legislative session.